DETROIT ROCKS FILM MAKER RON PERRY VISITS KIM IN ANN ARBOR! Guess who came out to Ann Arbor last week to show me his completed footage for his DETROIT ROCKS documentary...that's right... my pal Ron Perry! Everybody but everybody is in this film! What dedication Ron Perry has to devote so much time and energy to bring this Detroit Rock history to the world! I have seen many other rock docs about Detroit but this one is light years better and more in depth! Ron brought 2 hours of edited film for me to see featuring early Doo Wop groups, Detroit's first rock star Jack Scott, Nolan Strong (Mind Over Matter), the Larados, then gets rocking with Mitch Ryder/Detroit Wheels. Next up was The Rationals, some excellent history of the Grande Ballroom that the fans will love. He has a tight section on The MC5. I just loved it... I am in it a couple of times talking about Scott Morgan's fainting fans and my only trip at age 15 to the Grande in 1971! The Rationals got the star treatment they have always deserved in this movie too! Can't wait for their fans to see this!! I loved what I have seen so far and the fans will not be disappointed with this Detroit Rocks Documentary! Great work Ron and Nick!! All of our favorite Detroit Rock friends are in this! CHINA SKY HAS A NEW RELEASE "ONE LIFE"! International recording artists China Sky have released "One Life", a new music video featuring shots of iconic Detroit landmarks. The band will be releasing its first album of all new material since 1988 this February on UK-based label Escape Music. 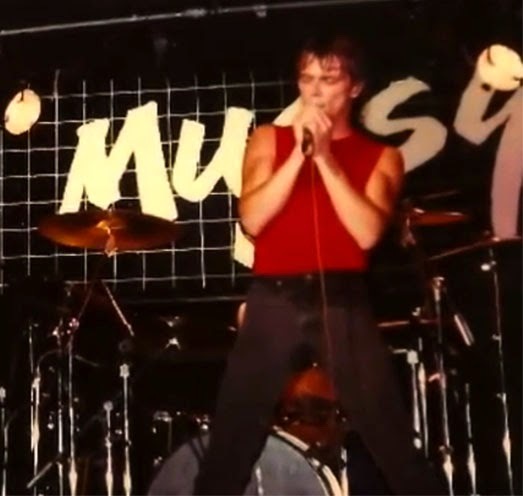 Lead vocalist Ron Perry, a Detroit native, (who some may remember from Detroit 80's punk/metal band "The Nasties") dishes on the video and the new record: "As a kid growing up in Detroit, all my musical influences were artists that were from here. The first record I ever bought was "Smokin' In The Boys Room" by Brownsville Station. 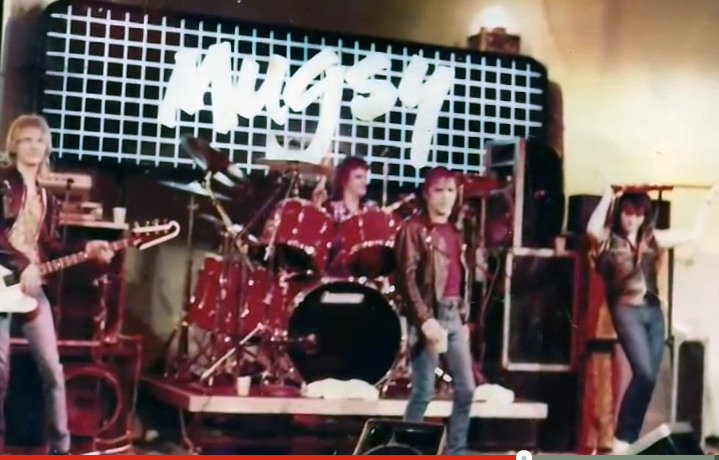 People like Seger, Nugent, and the MC5 all figured very prominently in my musical education, so for the video to include shots of the city that made me the musician that I am, and the city that I will always call home, was a no-brainer. The concept is simple: I'm watching old tapes of the band, and decide that I'm going to go rejoin the group. Being a musician, of course I don't have a car, so I just start walking to Hollywood. The house I walk out of is the actual house I grew up in. From there I walk through downtown Detroit past the Ren-Cen and the giant fist, and continue across the country until I reach the Hollywood soundstage where I join with the band after 25 years. I thought it was a fitting analogy for the incredible journey we have been through". China Sky's 1988 debut album has become something of a cult classic in recent years, prompting the reunion. Perry explains: "I was contacted by Escape Music about re-forming the band, and at first I thought it was a joke. I couldn't believe that people were still interested after all this time, but after taking two years to think about it, I called my old bandmate Richard Smith, who was not only receptive to a reunion, but was quite excited by the prospect. At that point we decided that we had to surround ourselves with the best musicians available. One of the things that people seemed to like about the first China Sky album was the guitar work, and this time around, our new guitarist Steve Wheeler definitely kicks it up a notch or ten. He plays in a classic style, but in almost every solo, he throws in an unexpected twist that makes you turn your head and say "Wait…what was that"? Fans of tasteful rock guitar shredding will love him. He never wastes a note, and I think he has raised the bar for melodic rock guitarists". Our drummer, Bruce Crump, was the original drummer in southern rock band Molly Hatchet. The guy played drums on "Flirtin' With Disaster"! 'Nuff said. Scottish keyboardist Tim McGowan is living proof that "If it's not Scottish, it's crap". "In my opinion, the new album is much stronger than the first and definitely rocks a little harder. The lyrics have more depth, and the tracks are more thought out and dynamic. The new lineup is pure magic, and I can't wait to bring the band to Detroit"! Check out China Sky's new video and Facebook page! I am heartbroken. Devastated. Part of my youth, and part of the world as I know and understand it, died today. His name was Tommy Farless. There are some people who are destined to make a mark in the world, and Tommy Farless was one of those people. Anyone who ever saw him sing has his image and his voice permanently etched into their consciousness. It was an experience no one EVER forgot, and it was an experience that left a huge, lasting impression on my life. He never became famous or rich. Like a lot of musicians, he struggled with demons and didn't have the easiest life, but when he had a microphone in his hand, he was a king, a hero...a god. There has never been any musician that has been such a big influence, or that I have looked up to more in my life. I would give my left nut to possess the talent he had in his pinky. With everything I have ever done in music, my main goal was just to try and be as good as Tommy Farless, although I knew that would be an impossibility. Every vocal I ever tracked, I listened back and thought "how would Tommy sing it?" and then I did what Tommy would have done. I still listen to his recordings and draw inspiration. His voice can only be described as a cross between a sparrow and a lion. He was the fiercest, most powerful and expressive singer I ever heard, bar none. he could croon a lullaby and turn around and let out a blood curdling scream that would rattle your skull, all in perfect pitch. To know that he is no longer here in this world shakes me to the core. I was honored to get to know him and become his friend, and although we weren't super-close, I am glad that I got the chance to let him know exactly how I felt about him. He was my hero, my idol. I loved him. I have heard it said that the greatest musicians in the world are people that you've never heard of, so ladies and gentlemen, let me introduce you to the greatest rock singer who ever lived...Tommy Farless. SHOOT A NEW VIDEO IN DETROIT! 80’s rockers CHINA SKY, best known for their 1988 hits “Some Kind Of Miracle” and “The Glory”, have released a new documentary short film detailing the band’s history, and are back in the studio for the first time in over 25 years. The band, hailed as “megastars in the making” by Derek Oliver in Kerrang magazine, broke up just two months after the release of their self-titled debut album in September of 1988, after numerous bad breaks, and the defection of guitarist Bobby Ingram to southern rock band Molly Hatchet. In the years following, CHINA SKY has amassed something of a cult following among listeners of what is now called “Melodic Rock”, and the album has become a sought-after collectors item. 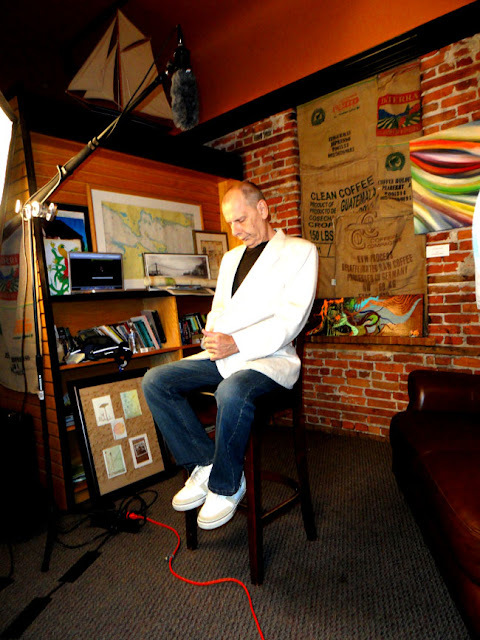 “A few years ago, I began to receive inquiries from all over the world about China Sky”, says lead vocalist Ron Perry. “I had no idea anyone even remembered China Sky, and I was floored by the renewed interest”. Sensing an opportunity to re-visit what he viewed as “unfinished business”, Perry called his old bandmate, bassist Richard Smith, and China Sky was re-born. Perry, a Detroit native, wanted to showcase his Detroit roots in the video for their forthcoming single “One Life”. “A major portion of the video consists of me walking through various landmarks around the United States. It begins at my childhood home, winds through downtown Detroit, follows me across the country, and ends up in Hollywood. The Ren Cen, the giant fist, and several other landmarks are featured prominently”, says Perry. Detroiters may remember Perry as the lead singer for 80’s glam/punk/metal outfit “The Nasties”. “Back in ’86, I wrote the song “Detroit Rocks” as a theme for WLLZ’s campaign to have the Rock And Roll Hall Of Fame built in Detroit”, says Perry. “It was kind of a “We Are The World” style thing that featured members of Brownsville Station, Weapons, The Almighty Strut, The Look, Halloween, The Hysteric Narcotics, Blackfoot, and Molly Hatchet, and an impromptu rap from the MC5’s Rob Tyner. To this day, the highlight of my career was working with Rob Tyner… it doesn’t get any better than that”. 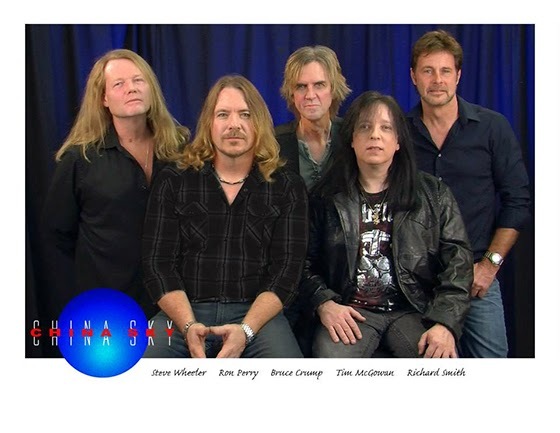 Buoyed by the new wave of interest in China Sky, Perry and Smith have returned to the studio with a new group of veteran rockers in tow, including original Molly Hatchet drummer Bruce Crump, guitarist Steve Wheeler, and Scottish keyboardist Tim McGowan. The band’s new documentary short film entitled “CHINA SKY – SO HERE’S THE STORY…” tells the behind-the-scenes story of China Sky, and gives a sneak peek at the video for their forthcoming single “One Life”. The new album is expected some time in the summer of 2014.